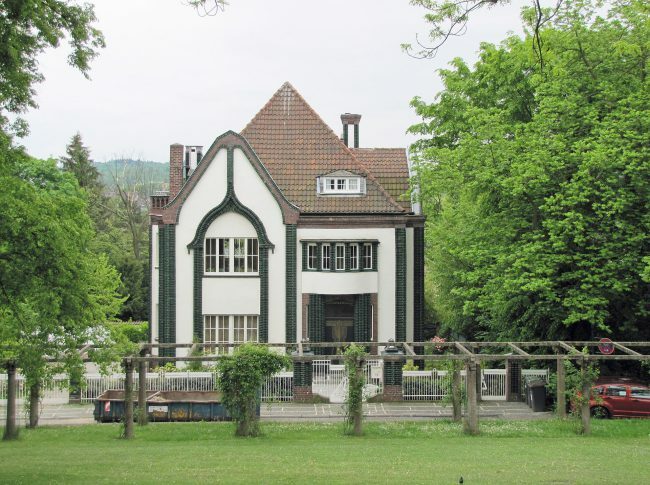 On April 14, 1868, German architect and designer Peter Behrens was born. Behrens was important to the modernist movement, and several of the movement’s leading names (including Ludwig Mies van der Rohe, Le Corbusier and Walter Gropius) worked for him in earlier stages of their careers. The son of a Protestant Schleswig-Holstein family of landowners visited the Christianeum in Altona from 1877, which he left again in 1882. From 1885 to 1891 he studied painting at the art academies in Karlsruhe (from 1885), Düsseldorf (from 1889) and Munich. 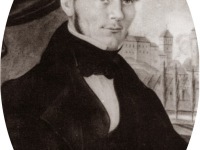 In Düsseldorf he was a pupil of the painter Ferdinand Brütt. Munich, where he began to work independently in 1892, influenced Behrens especially as a centre of the art nouveau movement recognized at that time. In 1890 he went on a study trip to the Netherlands to study the works of the Luminarists there. In 1892 Behrens was a co-founder of the Munich Secession, from which he soon left to found the Free Association of Munich Artists together with Max Slevogt and Lovis Corinth. In 1897, Behrens also co-founded the Vereinigte Werkstätten für Kunst im Handwerk. 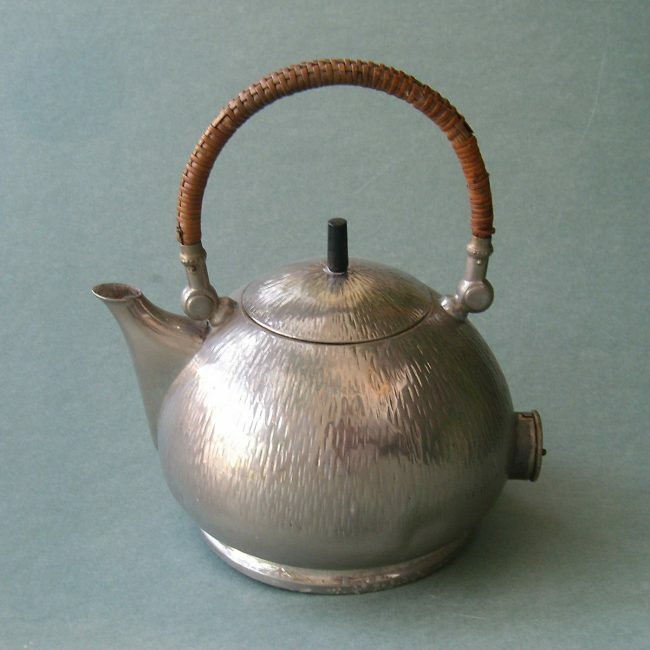 : AEG electric water kettle designed by Peter Behrens in 1909. He now turned more to arts and crafts, creating works made of glass and porcelain. In 1899 he married the artist Lilli Krämer. 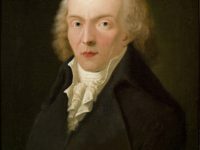 In the same year he received an appointment to the Darmstadt artist colony Mathildenhöhe. There Behrens began to occupy himself with architecture. 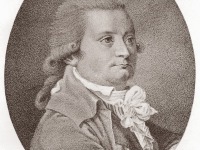 The initiative for such an artist community went back to the Hessian Grand Duke Ernst Ludwig, who appointed young artists from various fields to Darmstadt. In 1902 Behrens began to hold master classes at the Bayerisches Gewerbemuseum in Nuremberg in addition to his activities in Darmstadt. In 1902 Behrens applied to the city of Düsseldorf for the post of director of the Kunstgewerbeschule Düsseldorf at the latter’s request and took up this post in 1903. In the following years, Behrens also set up typography courses in Düsseldorf. Behrens had already developed various typefaces since 1901, including Behrens-Fraktur, Behrens-Kursiv and Behrens-Antiqua. 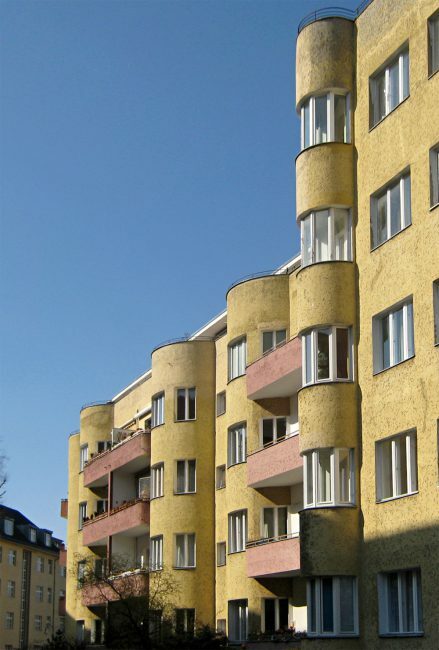 In 1907, Behrens settled in Berlin as an independent architect. Previously he had already taken on several commissions for the interior and exterior design of buildings, such as a lecture hall at the Folkwang Museum in Hagen in 1905, which should have been designed by Henry van de Velde just like the rest of the building. 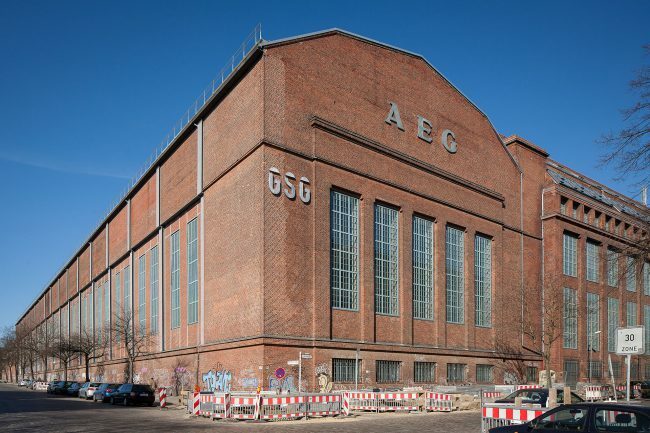 After Peter Behrens had already accepted smaller design orders for AEG, he was appointed to the company’s Artistic Advisory Board at the end of July 1907. In the following years he worked for this company in almost all disciplines of design, from graphic works such as advertising brochures to product designs for household appliances and large factory and administration buildings. His turbine assembly works with its glass curtain wall was the most influential building in Germany at that time. Peter Behrens also did not work alone in his studio, the Erdmannshof in Babelsberg. Employees were Walter Gropius, Ludwig Mies van der Rohe  and Charles-Edouard Jeanneret-Gris, who from 1917 called himself Le Corbusier. In 1911 Behrens designed the building of the Imperial German Embassy in St. Petersburg, which was praised in Germany primarily for its monumentality, but criticized abroad, for example in France and Russia for its Teutonic façade. Three years later the activity for the AEG ended. After the First World War, Behrens, under the influence of the economic emergency, looked for possibilities for financial savings in construction. 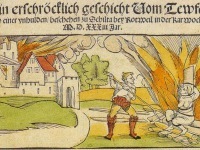 In 1918, he published his book “Vom sparsamen Bauen” (“On Economical Building“), in which he advocated the use of types and inexpensive materials such as slag concrete. He had already used this concrete in 1910/11 for the construction of workers’ houses in Hennigsdorf, where he again worked for the General Electricity Society. When designing urban housing estates, Behrens also considered it important to concentrate and consolidate important community facilities such as schools, day nurseries, shops, etc. In 1921 Behrens was appointed to the Düsseldorf Art Academy. In 1922 he succeeded Otto Wagner as head of the Master School of Architecture at the Vienna Academy of Fine Arts. Until 1927 Behrens was director of the architectural department here. He was also awarded an honorary doctorate by the head of the Technical University in Prague. During this time the design for an administration building of the Farbwerke Hoechst AG (1920-1924) in Frankfurt-Höchst was created. In 1925, Behrens took part in the International Arts and Crafts Exhibition in Paris. During this and the two following years a large travelling exhibition of his works and those of his Viennese master pupils took place, and when Ludwig Mies van der Rohe took over the direction of the Werkbund exhibition in the Weißenhofsiedlung in Stuttgart in 1927, Peter Behrens also followed his invitation to take part. In 1927, Deutsche Gasolin commissioned Behrens to design petrol pumps and filling stations in order to avoid the accusation of deforming the environment.In 1926 Peter Behrens designed “New Ways”, a private dwelling in Northampton, which is regarded as an early example of the International Modern style. The late phase of his work in the 1930s was characterized by a concentration on urban planning tasks. Behrens was particularly active in Berlin, where such assignments were necessary due to the rapid development of the city and the problems of increasing mass transportation. This activity of Behrens included the redesign of the Alexanderplatz. 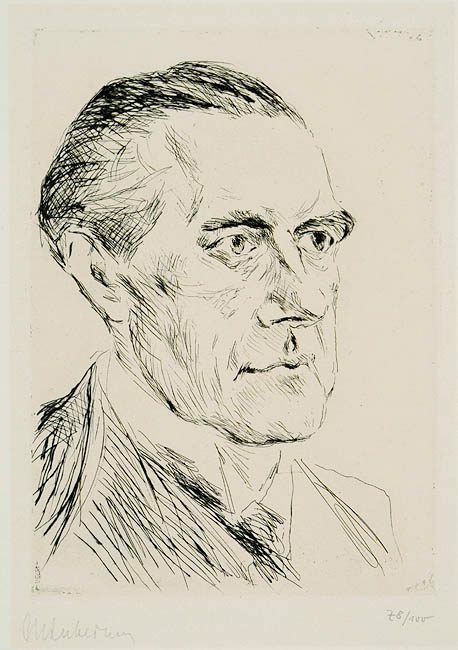 Peter Behrens died of a heart attack in Berlin on 27 February 1940. Peter Behrens was one of the leaders of architectural reform at the turn of the century and was a major designer of factories and office buildings in brick, steel and glass. In his life Peter Behrens created many buildings, which were groundbreaking for different directions. With these he completed the transition from Art Nouveau to the rationalism of the Bauhaus period. His later buildings demonstrated his belief that a building complex must have a heavy massiveness.